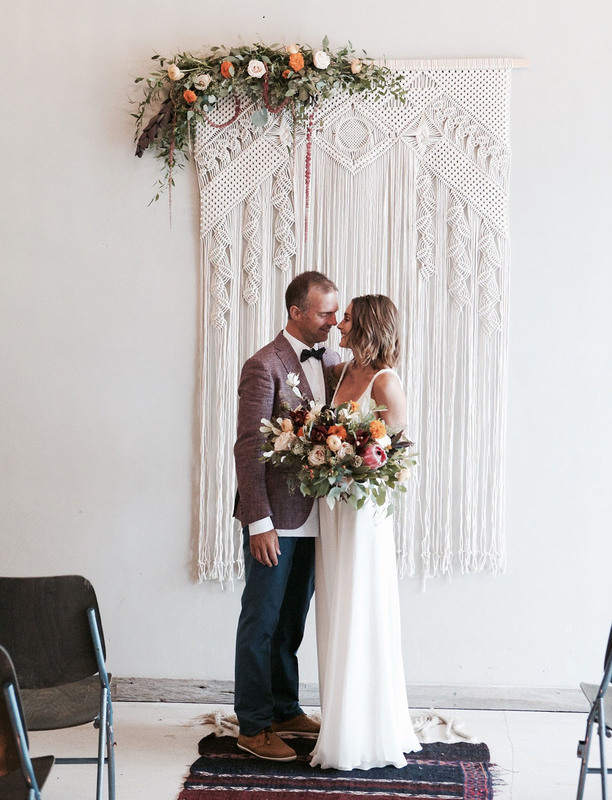 Take a couple in love, set them against a muted color palette, bouquets of gorgeous blooms, a drapey gown (or two), place them in Miami’s Wynwood Arts District and you’ve got today’s breathlessly romantic inspired elopement. 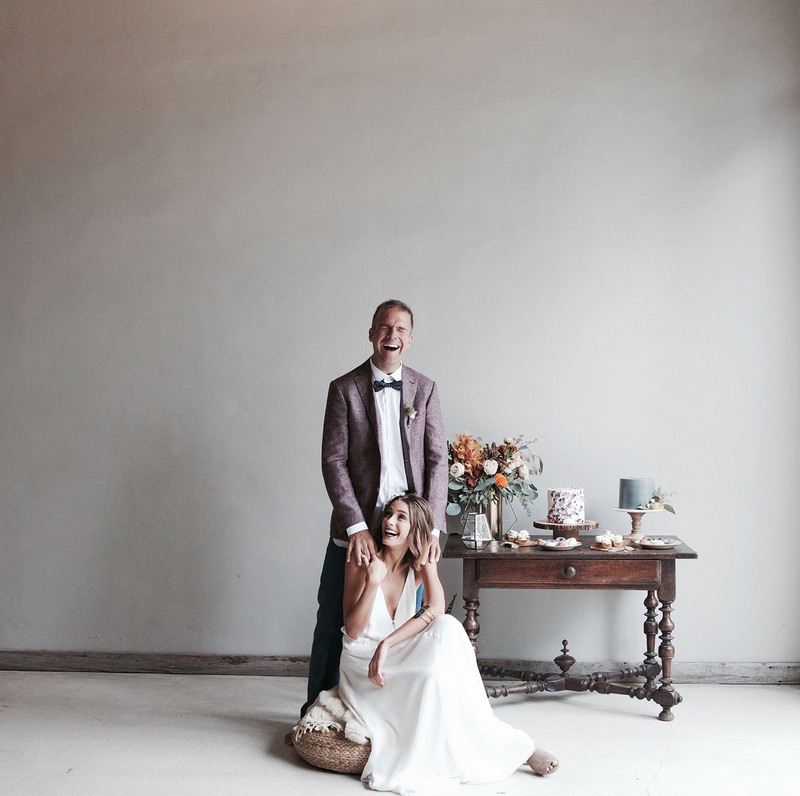 Designed, planned, and photographed by The Creative’s Loft, the team looked to Sarah, their bride, as the muse for the day. She and Javier were the happy victims of love at first sight and were more than willing to don the dress and suit! 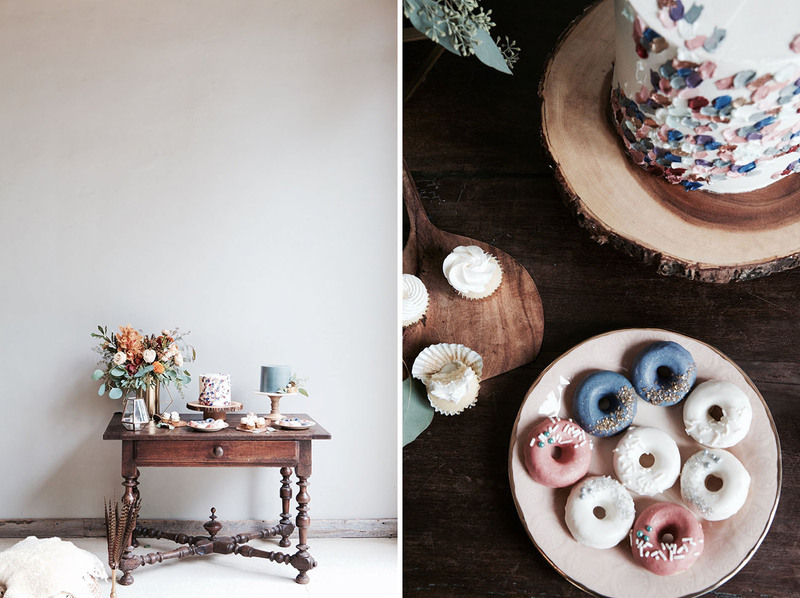 Let’s have a look at the beautiful styling and dreamy decor from The Creative’s Loft! 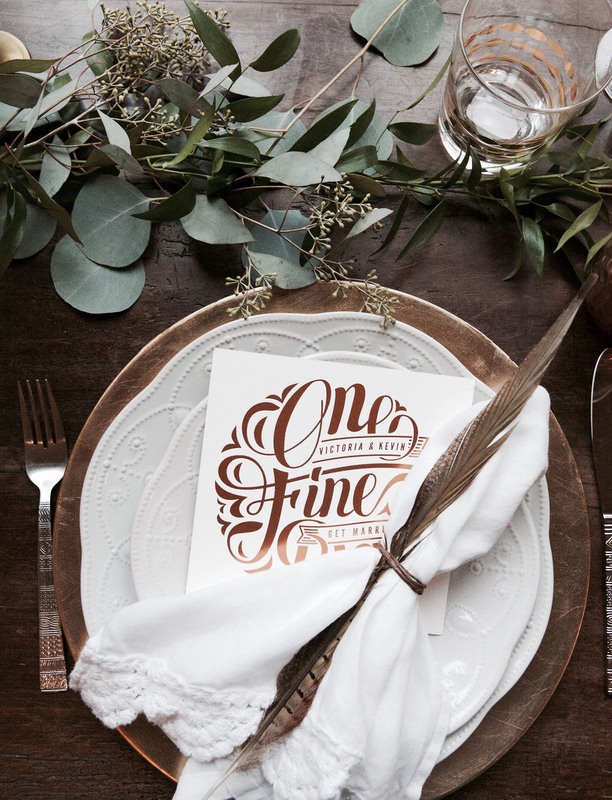 The gold foiled, hand-lettered design was courtesy of Coster Creative‘s talents. 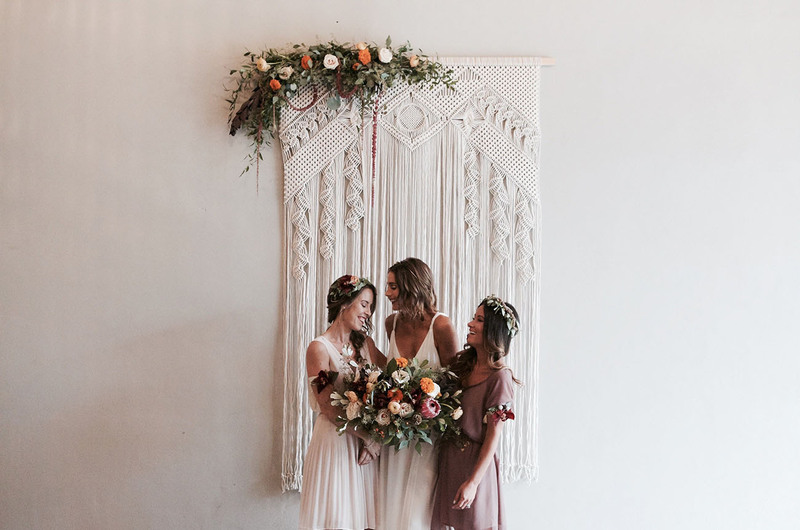 Oooooh this bouquet is the color story of our dreams! 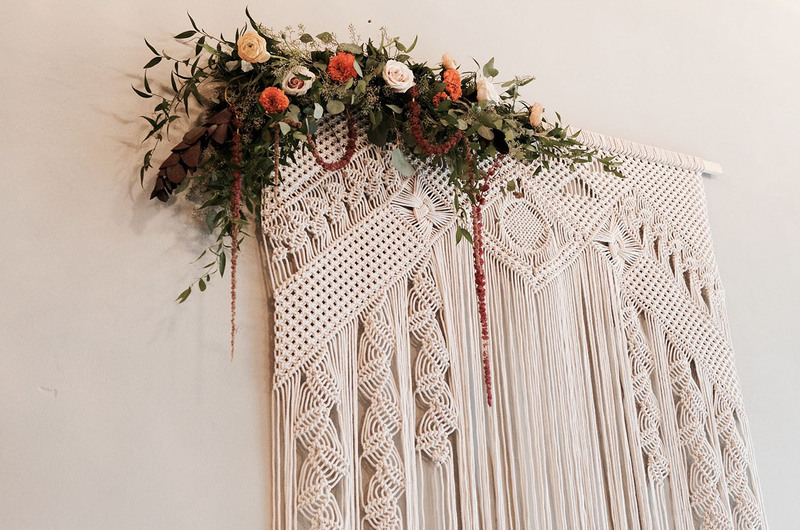 Primrose Florals designed the blooms, and also added the perfect amount of whimsy to S+J’s macrame backdrop. 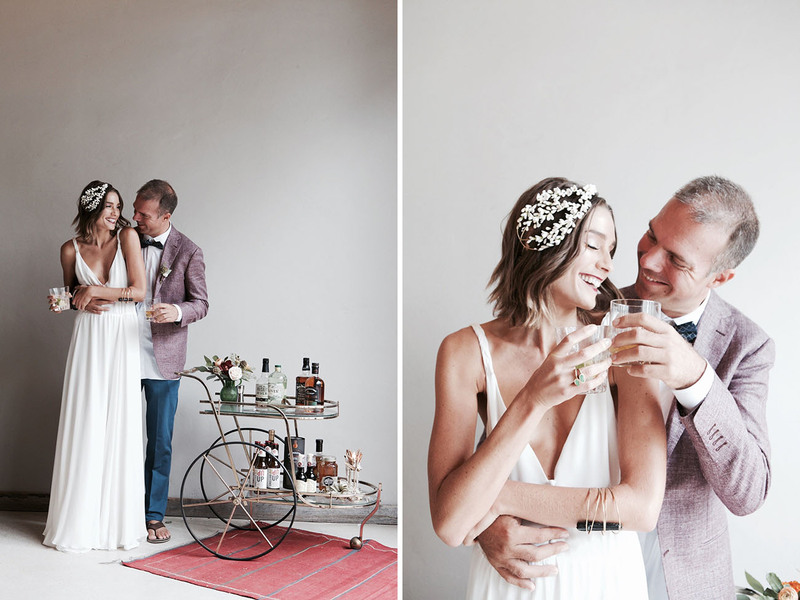 Sarah’s first look was a loose, boho gown from Stone Fox Bride. Loving these colors and textures! 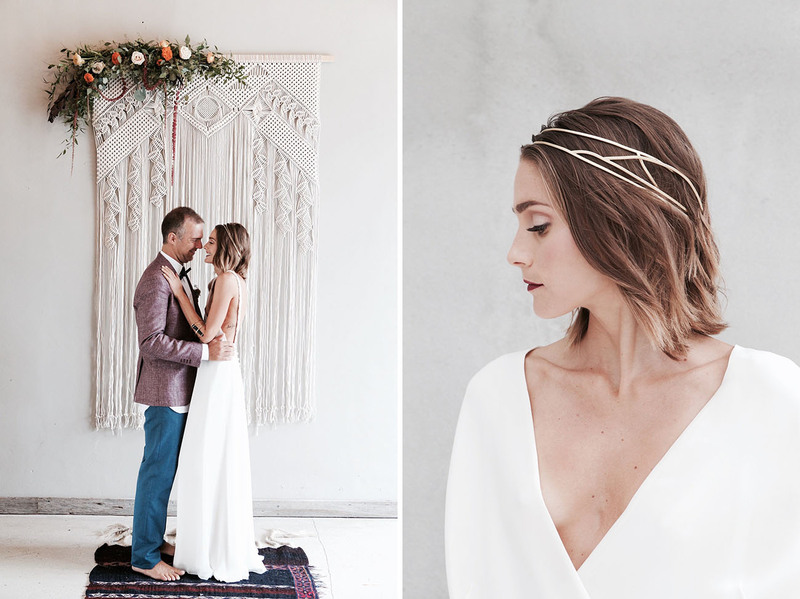 Lia Terni provided handmade headpieces and Mariana gave the bride a relaxed yet bold look for her hair and makeup. 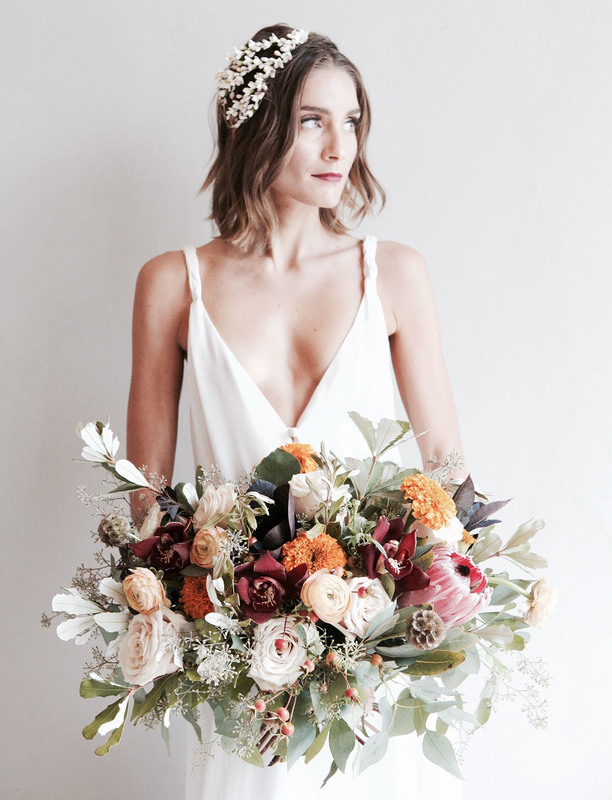 THIS from Stone Fox Bride…SO pretty! 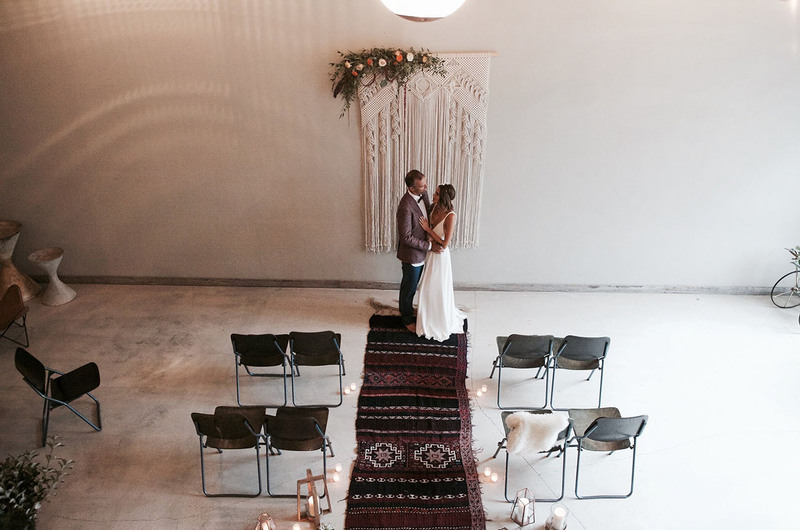 Lighthouse Bridal Boutique provided the gowns and the shoes are Diane Von Furstenberg. Javier wore a pale burgundy jacket, pants and shirt from Edoardo Borrelli, an Italian Designer with atelier in Miami. 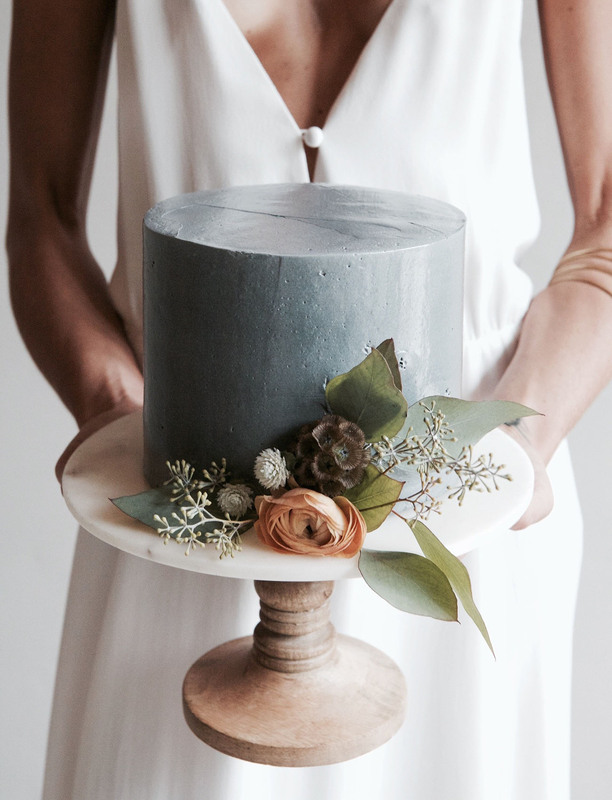 Juli Cantarella‘s sweet creations included a painted palette cake, sweet little donuts, and an industrial cement cake! 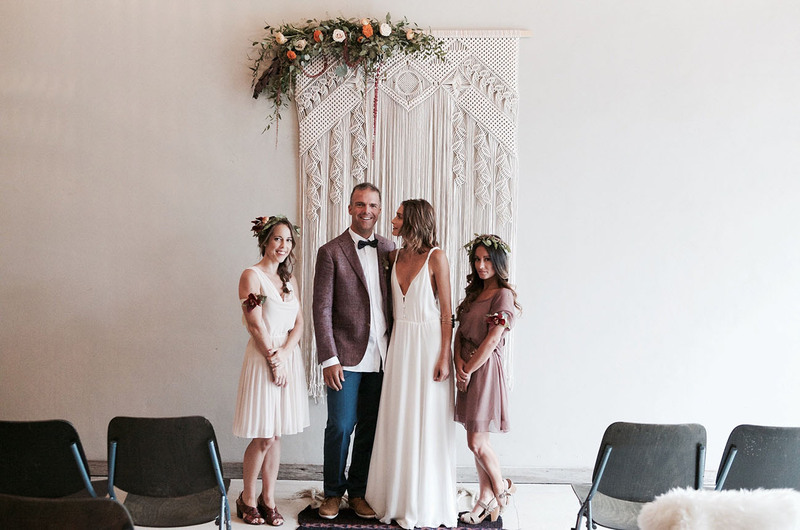 They all made their home on vintage pieces from ACE PROPS. Everything about this! 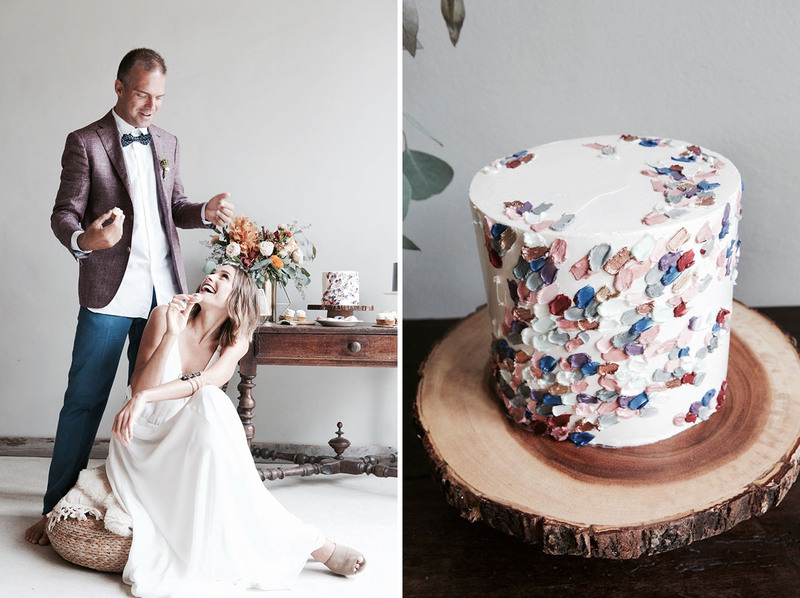 Colors, shape, texture, florals…the sweetest send off for the sweetest couple. 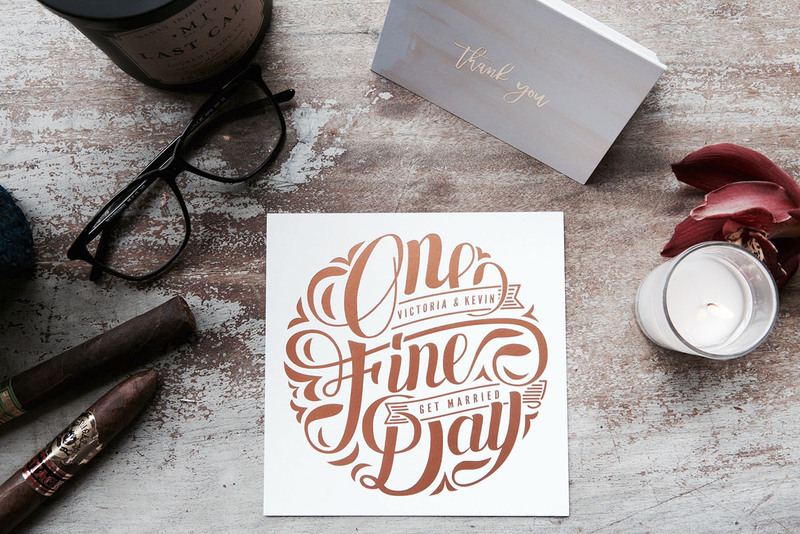 Thanks to the team at The Creative’s Loft for sharing your visionary work with us! Really want to appreciate your photographer! Shown some quality work indeed..